Flagship Porur provides a relaxing stay for travellers with spacious and well-lit rooms enhancing the soothing atmosphere. 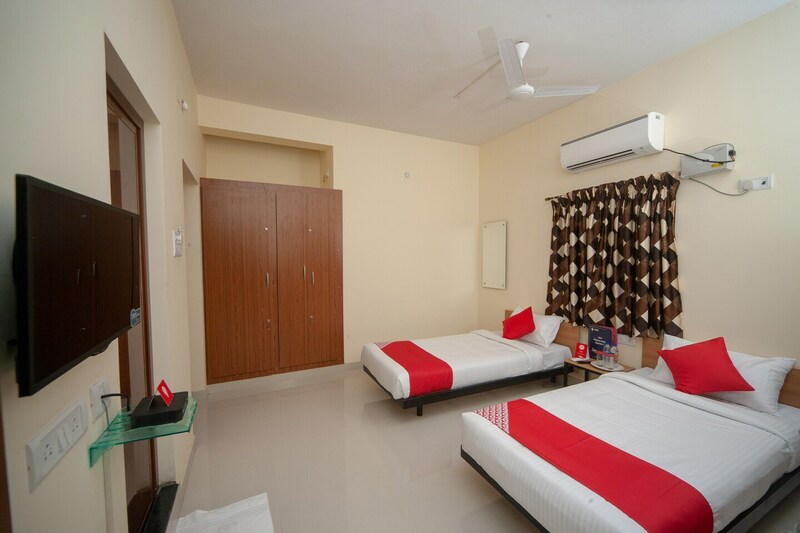 The rooms have ample ventilation and natural light coming in with a simplistic design, creating a refreshing ambience. The walls are light coloured with wooden furnishings and the patterned curtains serve as a contrasting accent to the room. The large cupboards provide one with the necessary space for the entire luggage that the guests may have. There is a parking lot for the ones travelling on their own vehicles. Card payment facility is also there as well as power backup and CCTVs camera setup.